If you haven’t met Rob Donaldson, you’re in for a treat on closing day. 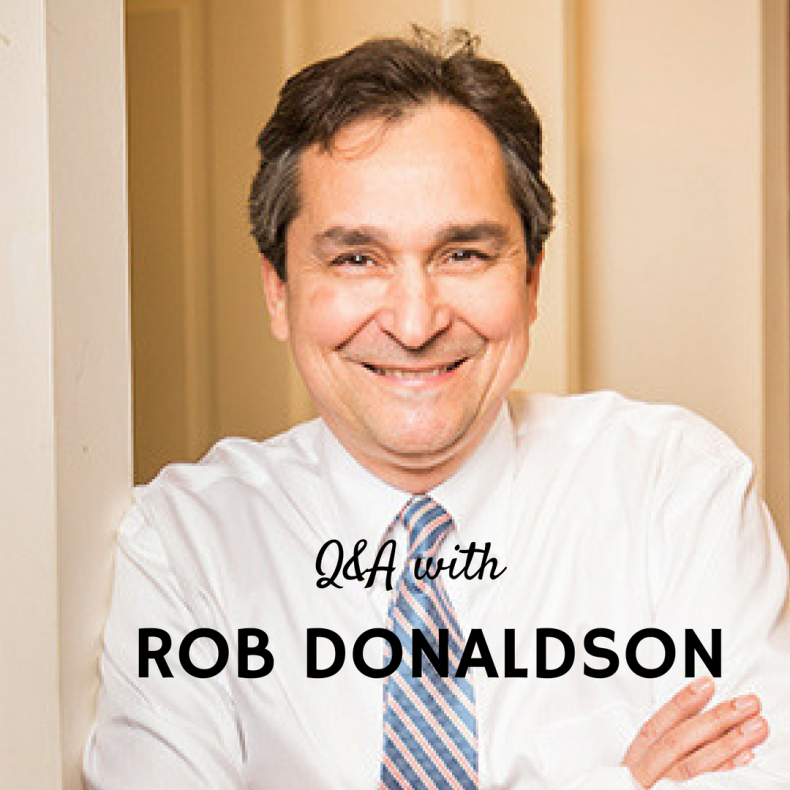 As a Charleston (Mount Pleasant) native, Rob is friendly, funny, and cool as a cucumber. Having been a real estate attorney for 20 years, he also knows real estate law, and Charleston and Mount Pleasant real estate, forward and backward. He is known for his relaxed, smooth, and efficient closings. Rob was born and raised in Mount Pleasant, and with the exception of college and law school, has lived in Mount Pleasant his whole life. He graduated from Clemson in 1981 and spent many years running the Carolina Nurseries in Moncks Corner. In 1994 he enrolled in law school at the South Carolina School of Law. He’s been practicing in Charleston since 1997. If you’ve lived here for any length of time, you’ve probably met his family. His wife Margaret owns Margaret Donaldson Interiors and is one of the most prominent interior designers in Charleston. His youngest son, Jenks, is a police officer in St. Stephen, and his eldest son Robert is also a real estate attorney at the firm. Of course, everyone knows Abby the Golden Retriever. She’s a bit of a celebrity who has made cameo appearances on Houzz and Coastal Living. Love browsing Abide A While nursery? It was started by his parents and is now run by his brother, Bruce, and his wife (Muffie) and daughter (Eleanor). Q: When you’re not in the office, what’s your favorite way to relax? A: I am in my yard. With a BS in horticulture from Clemson, and with my parents’ Abide A While Nursery in my blood, I am happiest pruning, planting or playing in my yard. Q: Do you have a favorite local artist or gallery? A: I love my Charleston art. Like many, I hold the Charleston renaissance art period in high esteem – Alfred Hutty, Elizabeth O’Neil Verner, Antoinette Rhett. But the artists of the past 30 years are just as wonderful – John Doyle, Bill Jamison, and Bill McCullough – all have works in my house. Q: Favorite thing about your job? A: The buyers and sellers that my real estate agent friends bring in. People are usually excited about buying; and they are usually happy to be selling because it often lets them buy again. It is fun being a part of someone’s home buying experience. Having done this for 20 years, I have watched clients go into the first house; have kids and create a family; and then buy into a bigger home. Its like we all grow up together. Q: Favorite restaurant in Charleston? A: I confess that I am not a foodie. While Mt. Pleasant has some great restaurants – I enjoy The Post House, Graze and Stacks – I am just as happy at the Whole Foods hot bar and salad bar. Q: Favorite place you’ve traveled? A: I am not much of a world traveler, though I am trying to learn. My first trip abroad was to Israel 18 years ago, and I would still count it as my favorite place. It is the Bible alive.